Booz Allen Hamilton faced a big challenge with employee communication. The global management and technology consulting firm needed to ensure that its nearly 25,000 employees had the information they needed to shine with clients as well as become better advocates for the company. In fact, 75 percent of those extremely busy employees do not work at company locations. Many don’t even have access to Booz Allen tools or resources. The firm partnered with Dynamic Signal to add an Employee Communication and Engagement Platform to strengthen the bond with the workforce. But what catapulted the program to success was the structured adoption program Booz Allen developed to encourage platform use by employees. At a recent webinar, McLaughlin explained the strategy and shared their remarkable results over the past 18 months. McLaughlin jokes that he and his team are “reformed consultants.” As they mapped out a launch plan, though, they returned to their roots by taking a consultant’s approach to designing a rollout strategy. Dynamic Signal’s ECE Platform enables organizations to connect all employees, wherever they are, with valuable work-related information as well as content they can share in their networks. For Booz Allen, it wasn’t just introducing a new communication technology to employees. It was about changing the company culture. Booz Allen, which works in the defense and intelligence sectors, previously had been reticent about employees discussing the company on social media. So, McLaughlin’s team took the time to listen to what employees wanted from the platform. What would help them do their jobs? What would they be comfortable sharing? What would enable them to become the storytellers of the Booz Allen brand? The team went to work using that feedback. The company social media policy was updated. Training sessions were organized to make employees feel more confident about discussing their Booz Allen experiences online. A select group of employees participated in a pilot program to make sure the platform met their needs and expectations. 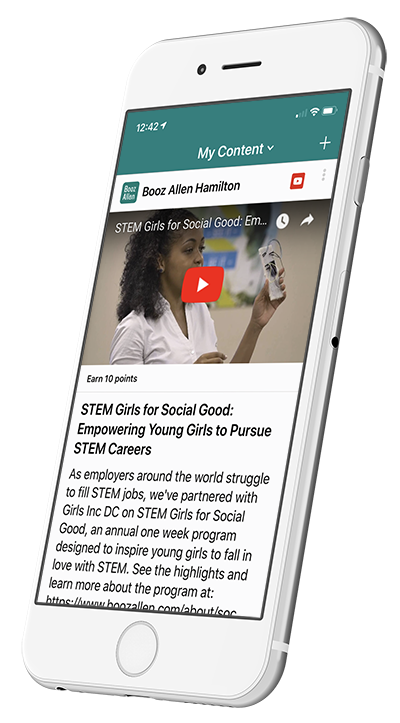 When it was rolled out to the entire company, Engage by Dynamic Signal contained captivating Booz Allen content that employees wanted to share with their networks. The result: a thriving, growing community. Because of Dynamic Signal’s integration with Workday, executives and team leaders can segment messages directly to the right people. For instance, if a team has a meeting scheduled, materials can be sent to every member in advance. Employees have closer ties with the organization as well as a golden opportunity to build their brands. They are more informed and mobilized to amplify the Booz Allen story with clients, potential job candidates and the larger world. But the best is yet to come, McLaughlin said. The hope is to have 50 percent of the firm participating within the next year. 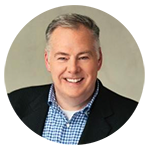 Watch the full webinar “Get Engaged: Transforming Employee Communication at Booz Allen Hamilton” to hear Grant McLaughlin tell the full story of how the firm is driving adoption for its Employee Communication and Engagement Platform.